Traveling with the family, especially when including the four-legged members, can be a huge undertaking. 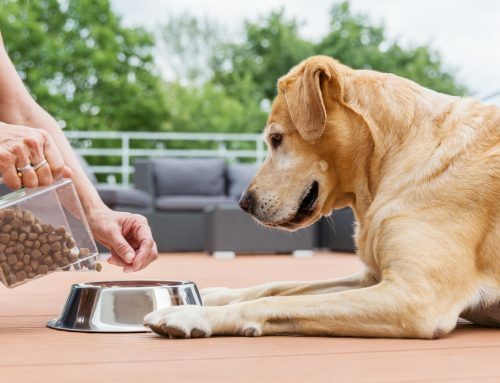 Considering all the details when it comes to flights, hotels, rest stops, and car rentals can be overwhelming enough, without throwing accommodations for your furry companion into the mix as well. These tips will help keep you and your pet calm and comfortable while traveling, no matter what mode of transportation you choose. 2. Prepare for the journey. If your pet has never been on a long car trip, prepare her for the lengthy ride by slowly increasing the amount of time she spends in your car. Choose an appropriately sized kennel, and create a cozy, safe space for your pet by placing familiar bedding inside and providing long-lasting treats to keep her occupied. Before leaving home, double check that your contact information is current and clearly visible on the outside of the carrier. And, if you’re flying, your pet’s kennel must meet the airline’s standards, so do your research first. 3. Arrange for pet-friendly accommodations. Check for any restrictions before booking a hotel room. Some may consider themselves pet-friendly but might have breed, size, or weight restrictions. 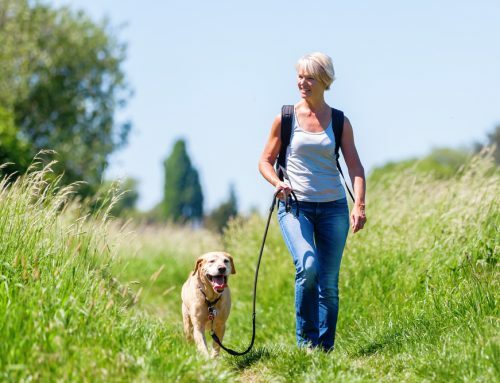 Plan a truly pet-friendly trip by using Go Pet Friendly, a website detailing more than 65,000 pet-friendly hotels, restaurants, campgrounds, and other locations. 4. Understand the airline’s regulations. As airlines are cracking down on rules regarding pet travel, ensure that you fully understand any stipulations concerning your pet. 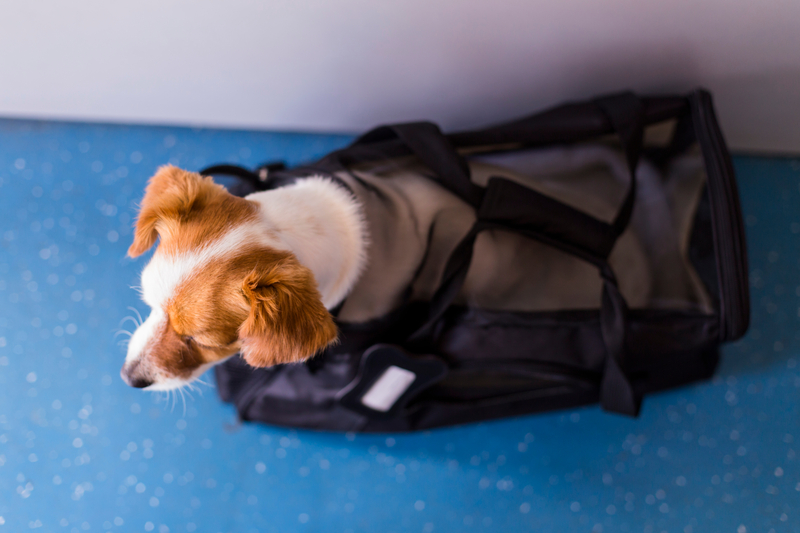 Depending on the airline, your pet may ride in the cabin or may be required to travel in the cargo hold. Always be sure to check an airline’s reputation regarding animal safety before booking your flight. About 15 major carriers currently hand over monthly incidence reports to the Department of Transportation, which detail any lost pets, injuries, or deaths. Want your pet to really ride in style? Consider a pets-only airline, such as Pet Airways, to provide top-quality care. You pet will travel in an individual crate in a climate-controlled cabin with a pet attendant checking on her every 15 minutes. 5. Choose a rental car company that allows pets. 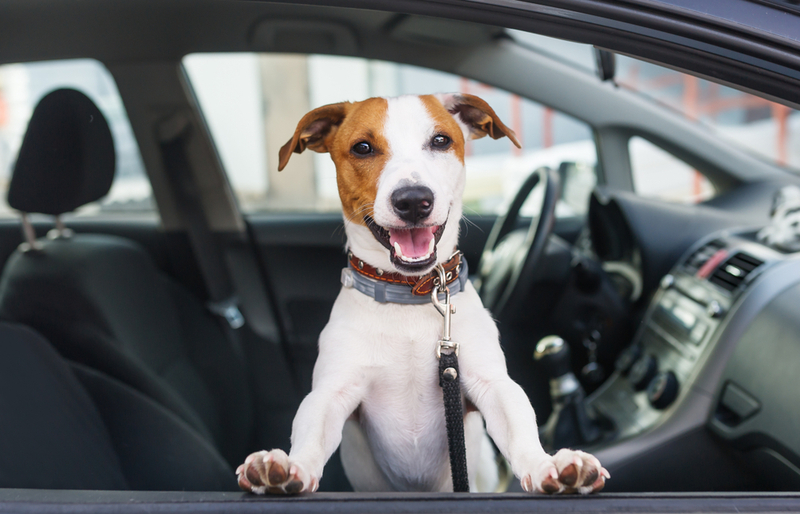 When leasing a vehicle, contact the company beforehand to find out about their pet policy. A small deposit may be required upfront to cover possible damage to the vehicle. 6. Keep your pet safe in the car. Even though a trip across the country is a long time to be cooped up in a carrier, avoid letting your pet wander around your vehicle. A quick distraction can lead to a fatal accident. To allow your pet a chance to stretch her legs, stop every two to three hours for a bathroom and exercise break. Not a fan of keeping your pet in a crate? Consider investing in a crash-tested safety harness instead. 7. Update contact information. In addition to your pet’s standard identification tag, consider attaching a second tag that includes the phone number and address of where you’ll be staying. Ensure that all tags and your pet’s microchip registration have the most up-to-date contact information before traveling. 8.Exercise. 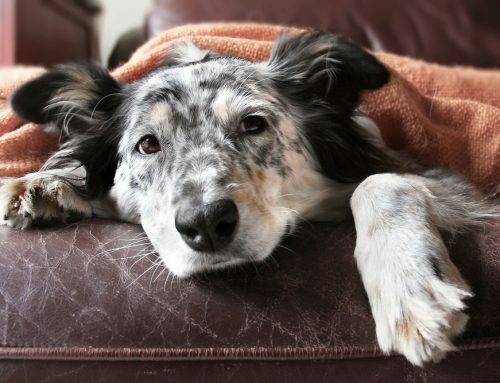 A tired pet will spend her travel day sleeping rather than wondering and stressing about where you’re taking her. Consider a fast-paced game of fetch or some laser pointer tag before loading up the crate. 9. Make sure your pet is welcome if staying with family or friends. Don’t assume that your friends or family will be as excited about your pet’s travels as you are. Spending a few days in tight quarters with family can already be a hairy situation, so be sure an unexpected animal doesn’t land you in the dog house as well. Ask if your pet is welcome to stay before schlepping her across the country. If she is welcome, be sure to brush up on basic obedience and commands so she’ll be on her best behavior. 10. Stay on schedule. For pets, traveling may be scary enough, so try to stick to a normal feeding and sleeping schedule to minimize your pet’s stress. Planning an upcoming vacation with your furry friend? 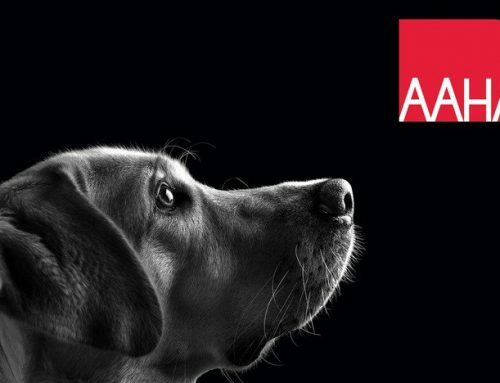 Schedule an appointment to ensure your pet is ready to travel.